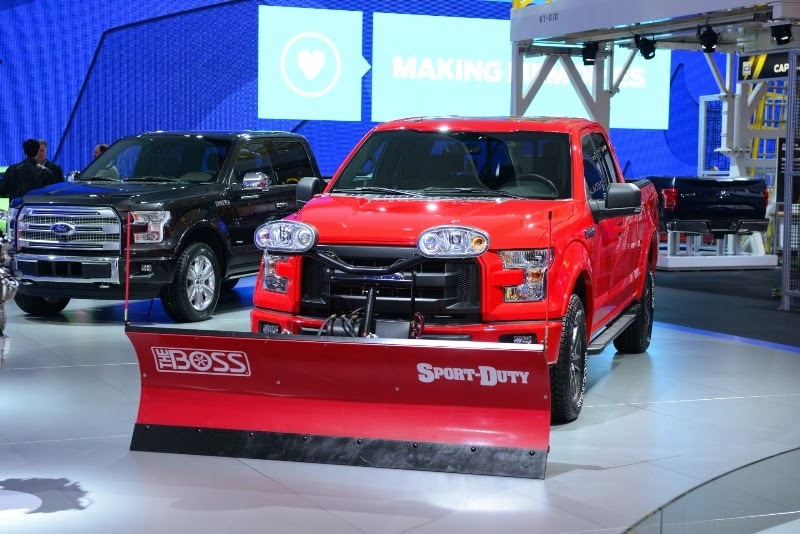 Wisconsin Winter warriors will have a tough new tool in their arsenal against next year’s long winter season with Ford’s new snow plow prep option, available on the all-new 2015 F-150. Ford is expected to be the only manufacturer to offer a light-duty snow plow prep option across all cab configurations – Regular, SuperCab and SuperCrew. When snow plow mode is activated via the push of a button, the vehicle temporarily turns off nonessential features to provide dedicated power for the plow.